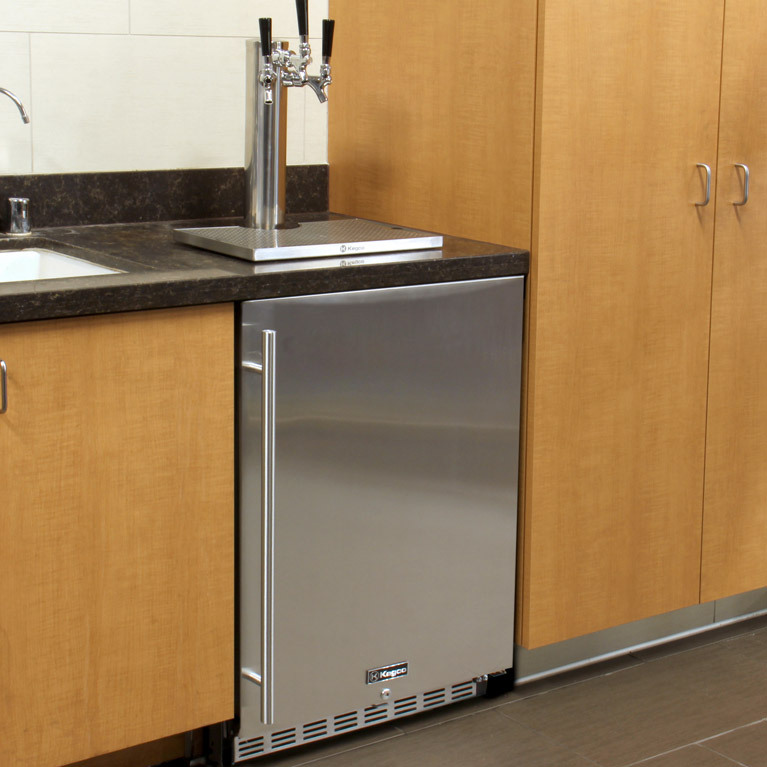 ETL listed and packed full of powerful and convenient performance features, Kegco's versatile HK38BSC-3 Commercial Undercounter Kegerator is perfect for serving up to three different kegs of beer, coffee, kombucha, or wine in your bar, restaurant, or tasting room. 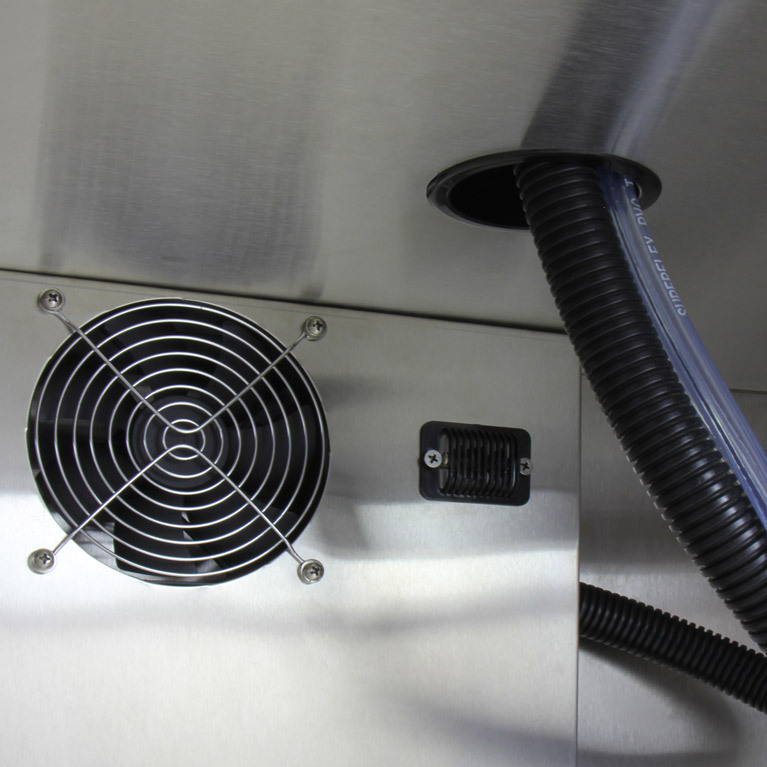 At 3200 therms, it utilizes the most powerful compressor in its class to deliver unbeatable cooling for fast recovery and temperature pulldown in busy commercial environments. 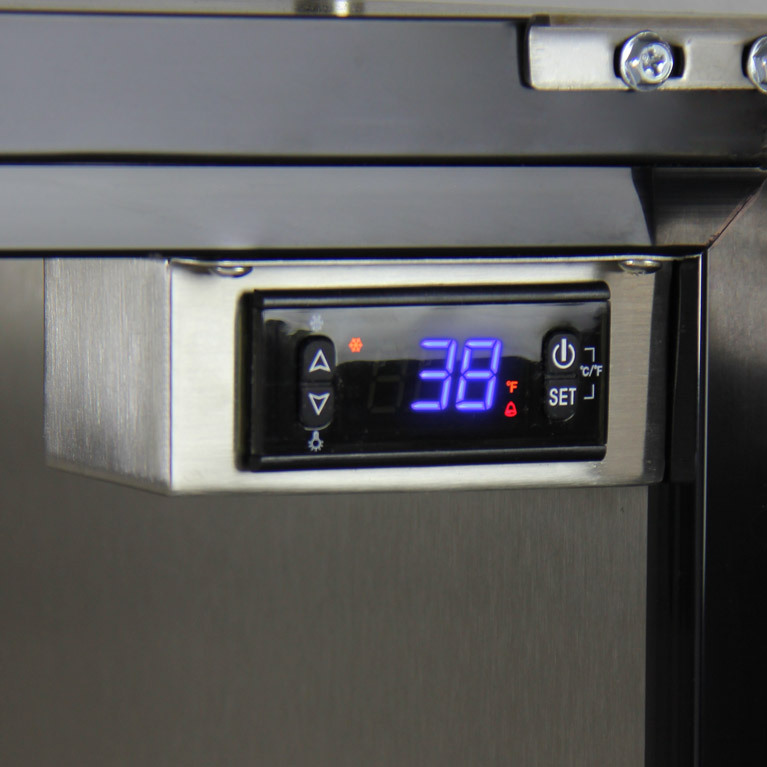 The temperature can be easily monitored and adjusted using an intuitive digital display, and the wide 23-59 F temperature range makes this keg cooler suitable for dispensing a wide variety of beverages. Designed for both built-in and freestanding use, it comes complete with a commercial direct draw kit and all of the necessary draft beer parts to tap up to three kegs simultaneously. 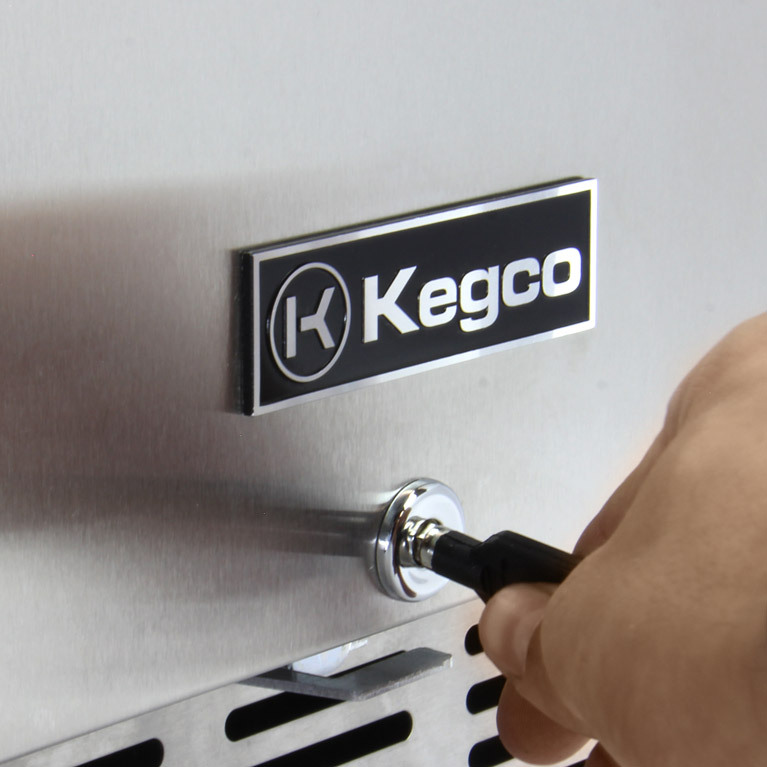 To keep the beer flowing (and your business running) as smoothly as possible, Kegco has included a premium dispense system with the HK38BSC-3 that comes with all of the high-quality commercial-grade components you'll need to get the job done. The triple faucet polished stainless steel beer tower features an extra tall 14.5" height for convenient filling of growlers and tall pint glasses. 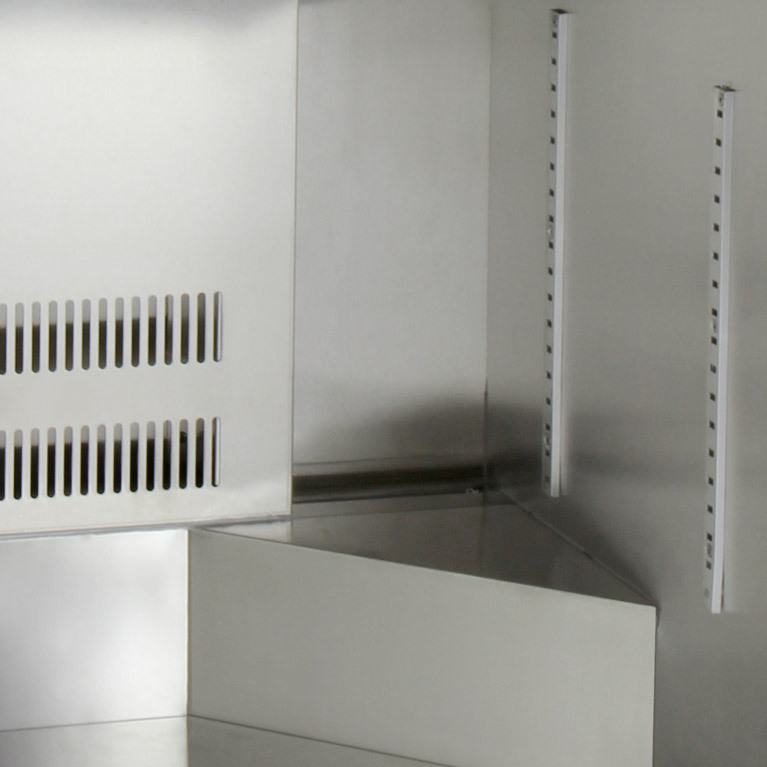 This tower includes three stainless steel Perlick 630SS faucets with an innovative design that will not stick, making them the most sanitary and reliable faucets on the market. 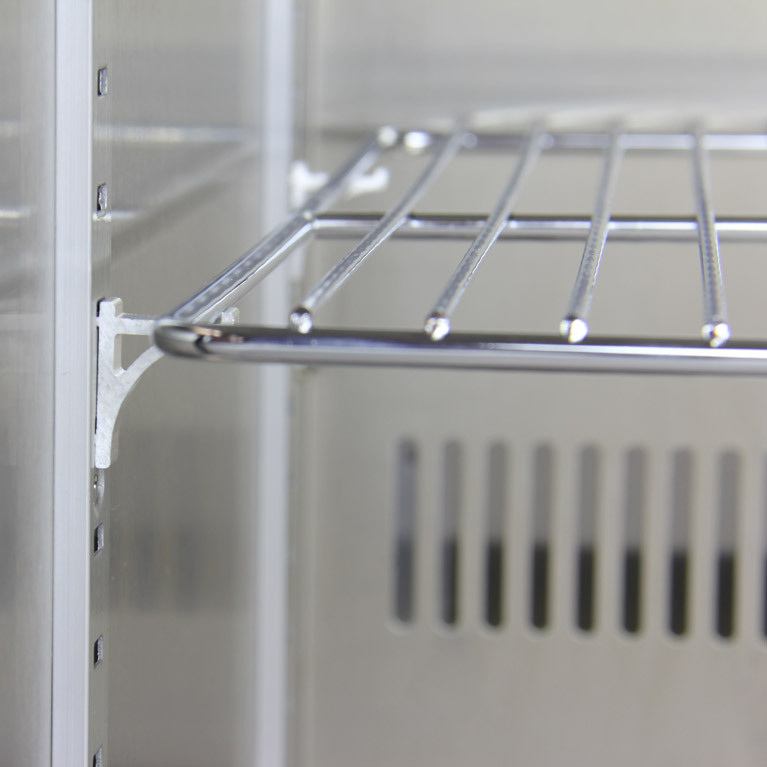 In combination with the stainless steel probes on the keg couplers, these faucets ensure that your beer will only touch 100% stainless steel metal components. To make it easy to know when you need to refill the corrosion-resistant, electric red epoxy-coated CO2 tank, this kit also includes a commercial grade dual gauge regulator that measures both PSI and the volume of CO2 in the tank. 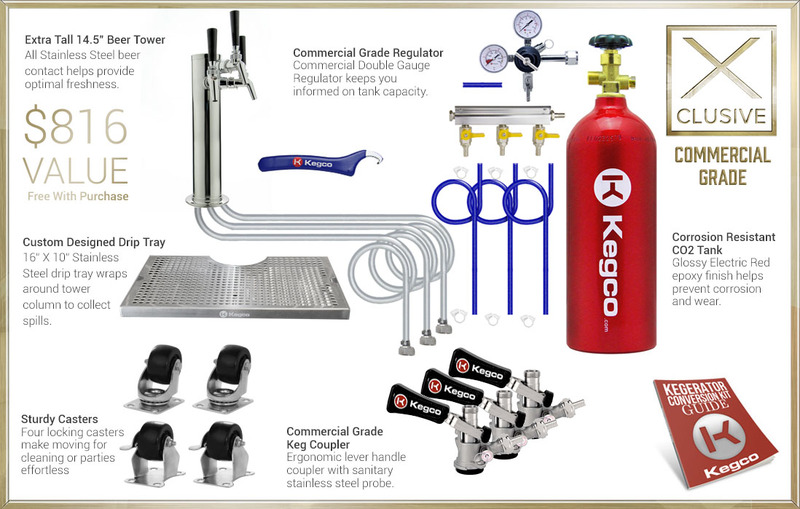 With the premium commercial-grade components included in Kegco's exclusive direct draw kit, you'll enjoy the peace of mind of knowing that you are serving your customers beer in the optimum conditions.